Looking for something a little more unique than grocery story flowers? Spoil the love of your life with these gorgeous hand-tied bouquets by Pridmore Design in a soft, romantic color palette that will score you major Valentine's Day points. Pick up is on February 13th from 5-7 PM at The Craftery. Delivery within 12 miles of Dublin, PA is $15. Deadline to order is Monday, February 12th. 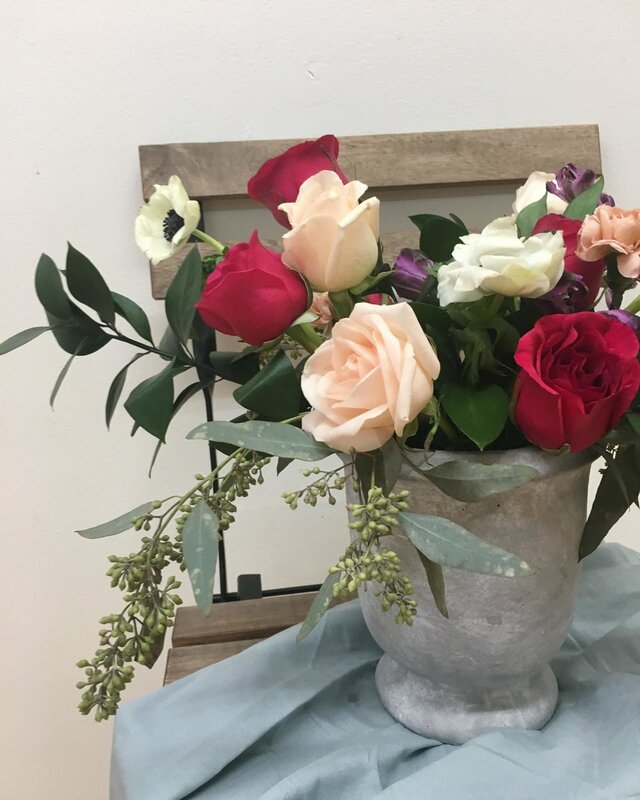 This gorgeous arrangement features 12 mixed garden and regular roses, spray roses, anemones, ranunculus, and other fresh greens in a cement urn. This will score you major points this Valentine's Day! 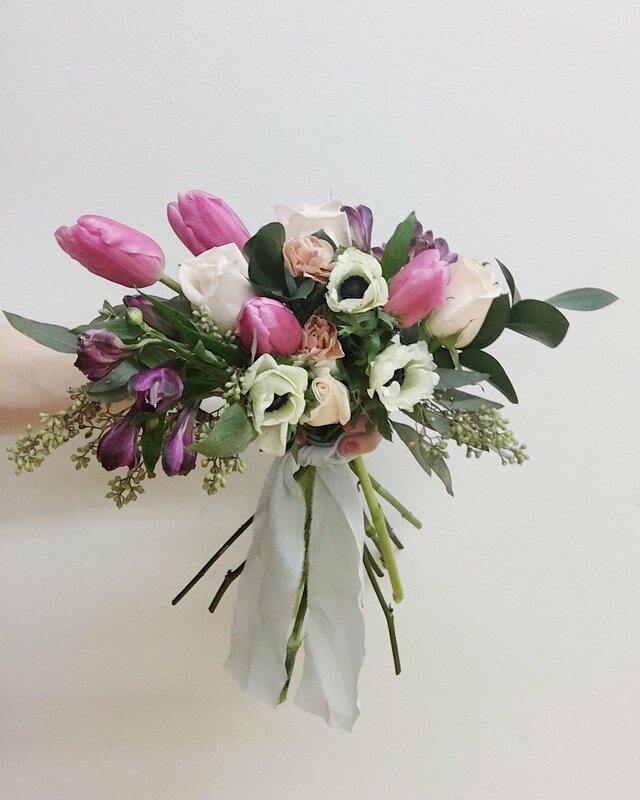 A little bit smaller, but just as beautiful, our hand-tied bouquet is chock full of spray roses, tulips, anemones, carnations and pretty greens all wrapped up in white craft paper and and tied with asatin ribbon. Pick up and delivery are available.